When you’re asked which vitamins and minerals are best for healthy teeth, the first answer that comes to mind is often Calcium. While Calcium is a nutritional powerhouse, helping to mineralize and strengthen your teeth in the same way it works to strengthen your bones, calcium wouldn’t be anywhere without vitamin D.
Vitamin D is responsible for the absorption of calcium, meaning that unless you are getting adequate amounts of Vitamin D, the calcium that you are consuming will not be absorbed or transported to where it is needed inside your body. Along with calcium absorption Vitamin D helps to decrease inflammation in the body. Studies have shown this can be helpful in managing gum disease. The recommended amount of Vitamin D for adults is 600 IU or 15 mcg per day. These levels can be reached by a combination of sun exposure, dietary intake, and supplementation. Vitamin D researchers suggest approximately 5–30 minutes of sun exposure in the late morning to early afternoon at least twice a week to provide sufficient vitamin D synthesis. Sun exposure can be hindered by season, time of day, length of day, cloud cover, smog, skin melanin content, and sunscreen. 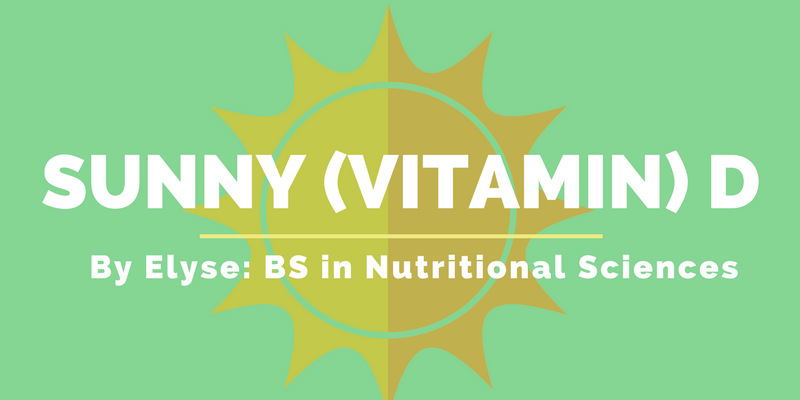 Researchers found that although sunscreen did block the UV rays needed for Vitamin D synthesis, most people do not apply it regularly enough or with enough coverage to fully prevent Vitamin D synthesis. If you’re concerned about getting enough sun to create the Vitamin D recommended, you might want to consult with your doctor to see if you’re getting enough from your diet or if supplementation might be right for you. Vitamin D is found naturally in several fish, and added to some fortified orange juices, cereals, and milks.